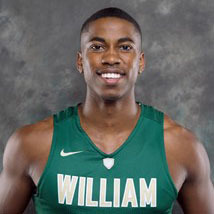 Former Fishburne Military School and William & Mary men’s basketball standout Daniel Dixon will play for the Boston Celtics in the MGM Resorts NBA Summer League in Las Vegas. Dixon played for the Celtics in the NBA Preseason last year and spent his first professional campaign with Boston’s G-League affiliate in the Maine Red Claws. The Celtics open Summer League play against the Philadelphia 76ers on Friday, July 6, at the Thomas & Mack Center. The game will be televised on ESPN and is schedule for a 4:30 p.m. start. Boston faces the Denver Nuggets on Saturday, July 7, at 8 p.m. on NBA TV, before meeting the Charlotte Hornets on Monday, July 9, at 4 p.m. on ESPN2. Those games will be played inside the Cox Pavilion. Dixon participated in the NBA G League Elite Camp in May and took part in free agent training camps with both the Utah Jazz and the Orlando Magic in the last month. He appeared in a preseason game for the Celtics in October and knocked down a pair of free throws against the Charlotte Hornets. Dixon started 25 of his 46 appearances for the Red Claws in the NBA G League. He averaged 13.3 points, 4.7 rebounds, 2.7 assists and 0.8 steals per game, while shooting 84.6 percent from the free throw line. He connected on 2.5 3-pointers per game and shot 35.1 percent from long range. Dixon scored a season-high 29 points against the Long Island Nets on March 29, and added an impressive 17-point, 12-rebound, 10-assist triple-double against the Delaware 87ers on March 13 during the G League season. Dixon graduated from W&M as part of the program’s winningest class with 77 victories over his four seasons. He enjoyed his best campaign as a senior, earning First Team All-CAA and NABC All-District honors. Dixon was also named the program’s Most Valuable Player following the 2017 season. He capped his career third in W&M history in 3-pointers made (241) and 14th in scoring (1,355). In 2016-17, he averaged a program-record 22.9 points per game in CAA play and finished the year overall ranked second in the league and 58th nationally at 19.2 points per contest. Dixon set a school record and led the CAA with five 30-point games, including a career-high 36 in a win at Old Dominion. He finished with 576 points in 2016-17, which ranked eighth in school history.